SKU: WS391-AS. 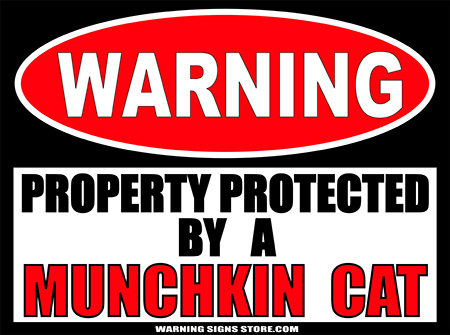 Categories: Funny Signs, gaming/geekism, Novelty Signs, Warning Signs. Tags: Skynet, Warning Signs. 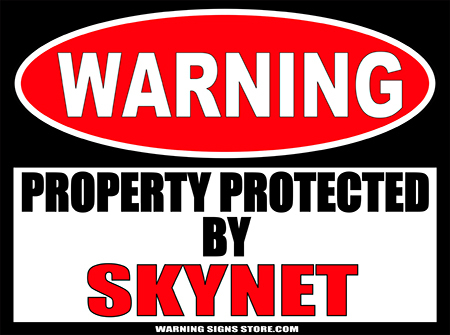 We don’t know how safe you will be with Skynet guarding your property, but we think all your electronics will be just fine! Or if we’re talking about the other Skynet, you know, the robotic telescopes operated by those crazy kids at the University of North Carolina at Chapel Hill, then Gamma-ray bursts of radiation may be what you’re needing protection from. Either way, this Aluminum-backed sign will cover both! How about that? It’s like two for the price of one! And the aluminum is great for stopping Alpha Particles, while we’re at it.